Age at every step matters! Not because of the winding time span but due to the developing and disintegrating bodies respectively. Either it’s a growing age, adulthood or old age, the body undergoes through several remarkable changes that can differently affects one’s life. In respect to it, you have to be aware of health guidelines as per generations so that, you can serve your family members and yourself towards a better health and life. Beginning with the growing age (Kids), you should be particular for every growing aspect of them. Beat, developing mental health, bones, muscles, teeth and social skills, it’s the health overall which has to be looked after. Here are few health guidelines for growing age as followed. Add wide variety of wholesome foods in your kid’s diet by choosing foods from five food groups on daily basis- plenty of fruits & vegetables of different colours, grains, poultry & sea food and dairy. Introduce healthy dishes/foods to the kid’s diet slowly and steadily. Try and keep offering them until they accept that particular food. Make sure, not to offer them foods without overall nutritional value which simply provides calories and nothing else. Choose variety of foods for them in order to provide enough protein- eggs, soy, tofu, chicken, salmon and grains, carbohydrates- dairy, legumes, beans and starchy vegetables and healthy fats- nuts & seeds, avocado, fatty fish and extra virgin olive oil for their initial growing age. Don’t make kids to clean their plate as it leads to over-eating and deposition of unnecessary fat and calories. Estimated calories required by children range differently from 900 kcal per day for a 1-year-old kid, 1800 Kcal per day for 14 to 18-year-old girl and 2200 Kcal per day for a 14 to 18-year-old boy. Achieving a healthy weight is amongst the health guidelines for which it takes to be physically active and choices over processed food. Also, the right amount of nutritious food and homemade drinks like smoothies and coolers are suggested to meet the needed energy levels. After elongated years, it’s the adulthood which stays with you for quite a long demanding specific dietary requirements due lack of self care leading to sinking stamina to perform daily tasks and degenerating bone health leading to easy fractures or other bone injuries. Increase the intake of nutrients such as dietary fiber, vitamins and minerals as it nourishes the degenerating body by providing the health fulfilling components. The health guideline is to eat the listed nutrients loaded foods to support the body functioning. Several foods have higher levels of calories than needed vitamins, minerals, and other nutrients which only lead to chronic diseases like diabetes, high blood pressure and cholesterol. Hence, it’s suggested to eliminate food items from the diet consisting of added sugars and solid fats. As per the government’s health guidelines, a healthy adult must do aerobic and strengthening activities on regular basis. As these activities uses the large muscle groups like chest, back and legs that increases the heart rate resulting in enhanced blood flow. Adulthood is the fear phase of gaining extra weight where several misconceptions are made like- skipping breakfast will help in shedding weight. However, skipping breakfast only leads to lack of energy making you feel torn down at the end of the day and overeating in next meal. Add plenty of fresh herbs and spices to enjoy incredible health benefits. Use ginger, turmeric, cinnamon, mint, basil and curry leaves. These herbs have potent antioxidants and anti-inflammatory properties with powerful health effects. Nonetheless, old Age is the phase of life where health deteriorates bringing mild to severe health challenges. Certain health conditions can develop as the age touches 60 or 65 impacting the quality of life and ability of living independently. To beat off such conditions, refer to the following health guidelines to embrace a healthy lifestyle even in your old age. 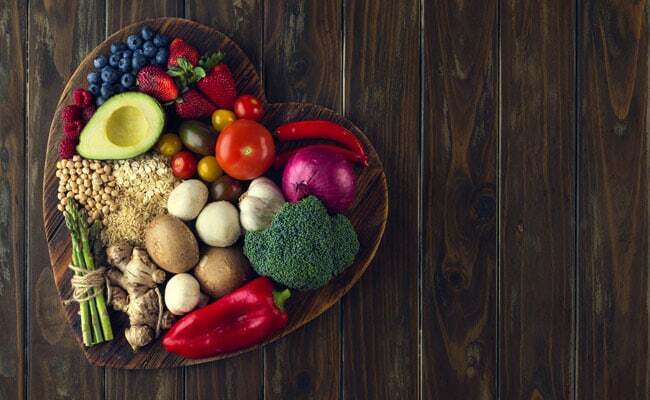 High cholesterol levels, colon cancer, osteoporosis, arthritis and heart problems are the major health issues that appear in old age and requires the preventive care at the first point by maintaining a healthy balanced diet which includes less sugar, salt, fat and more of fibre, antioxidants, vitamins and minerals. Indigestion is another major problem faced in old age. It’s suggested to keep the diet light with healthful of nutrients by preparing khichadi, dailya, stew, porridge and mashed veggies. Staying active at this age can be difficult and limited due some or the other health problems. But, you can always find a way to stay active and moving for easy mobility. Try raising your arms and legs slowly and gradually while sitting at you place. Doing this on regular basis will show positive effects on health. A good and everlasting health doesn’t come simply by receiving a quality medical care, it also requires a quality eating habits by adding up healthy foods and elimination junk. By concluding all the above, this World Health Day vow to self to lead a healthy life and instill the listed health guidelines as per generations!